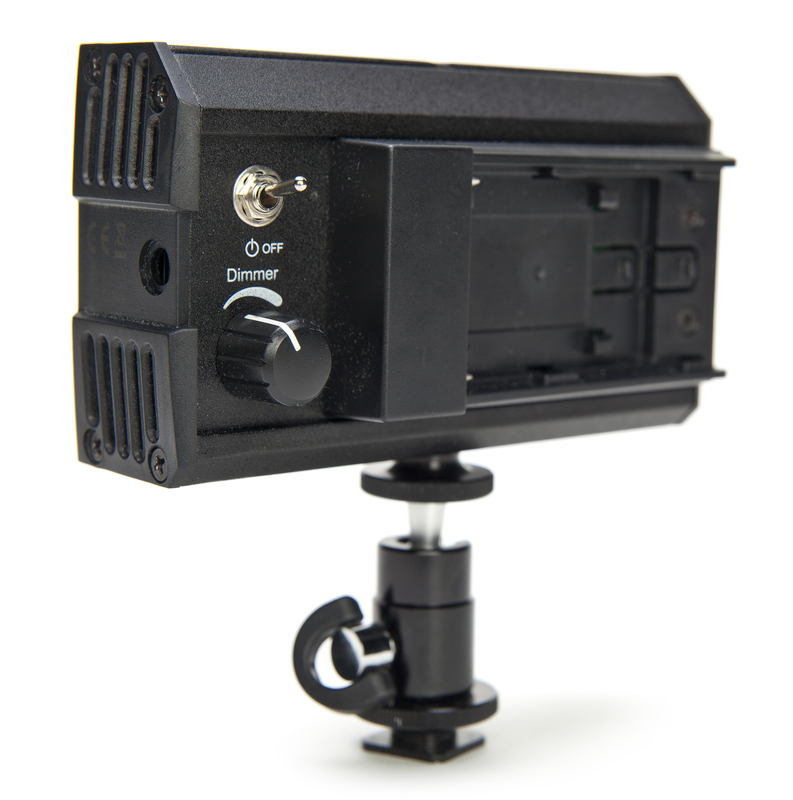 When portable dimmable bright light and minimal heat are priorities, you need the power of the Digital Juice MiniBurst 3-Point Lighting System. 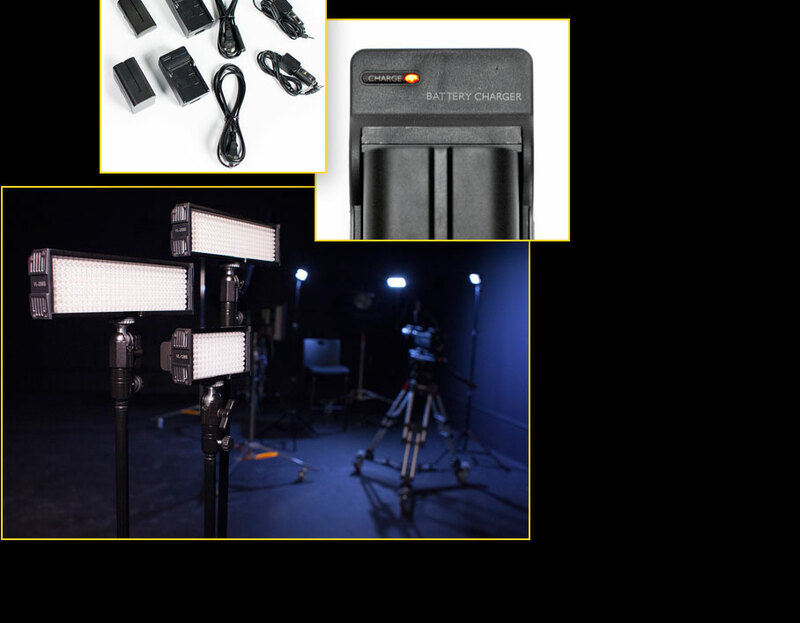 The three LED lights in this compact kit deliver the equivalent of 500W of hotlight power while still providing the bright longlasting lighting you need in a complete portable lighting solution for your next photo or video project. 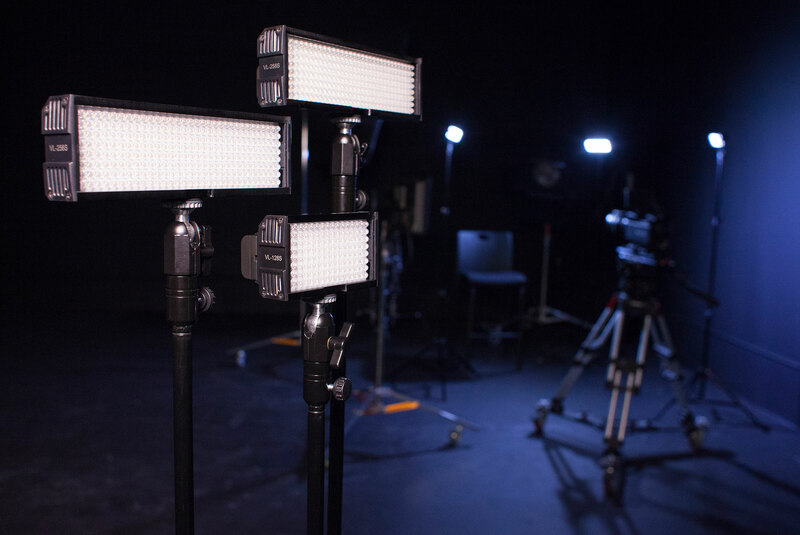 This versatile cool-running lighting system works perfectly for everything from talking head interviews and product shots in confined spaces to larger scale productions in a studio environment. 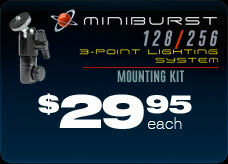 The MiniBurst 3-Point Lighting System includes 2 MiniBurst 256 LED light fixtures and 1 MiniBurst 128 LED light fixture, along with power supply adapter, battery, battery charger, car charger adapter, diffusion/warming filters and mini ball head for each light. 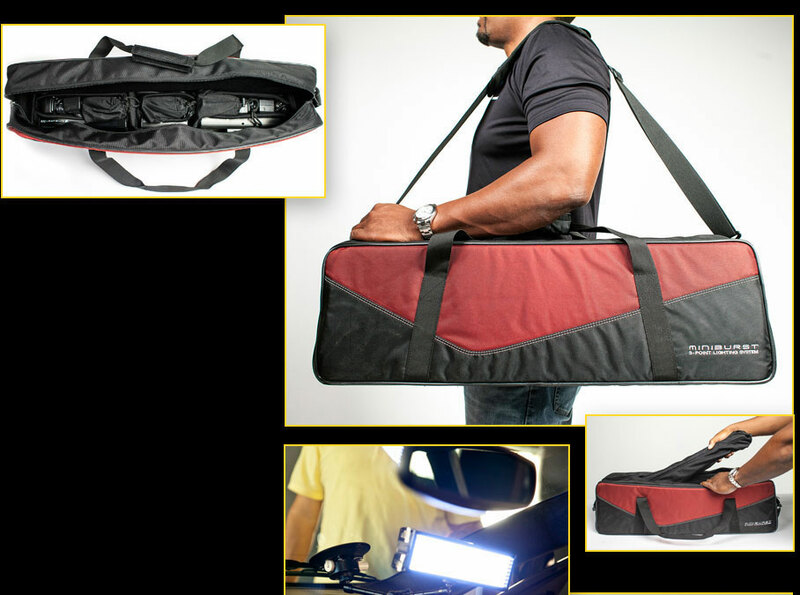 Three lightweight light stands are also provided, as is an attractive compact deluxe carry bag so that you can easily transport and store your lights and stands when not in use. 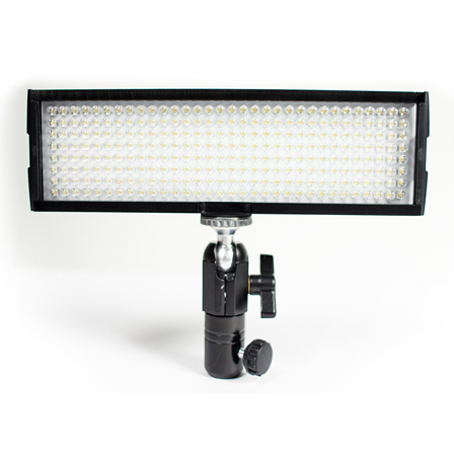 These high-output portable LED lights with 100W (128) and 200W (256) hotlight equivalent outputs are Daylight (5600K) balanced and powered by industry-standard 7.4v rechargeable Lithium Ion batteries. 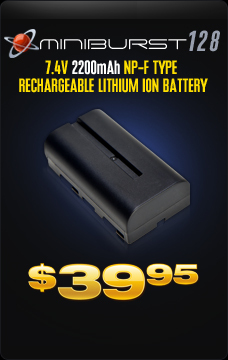 They can run for over 6 hours on one charge without losing their cool. 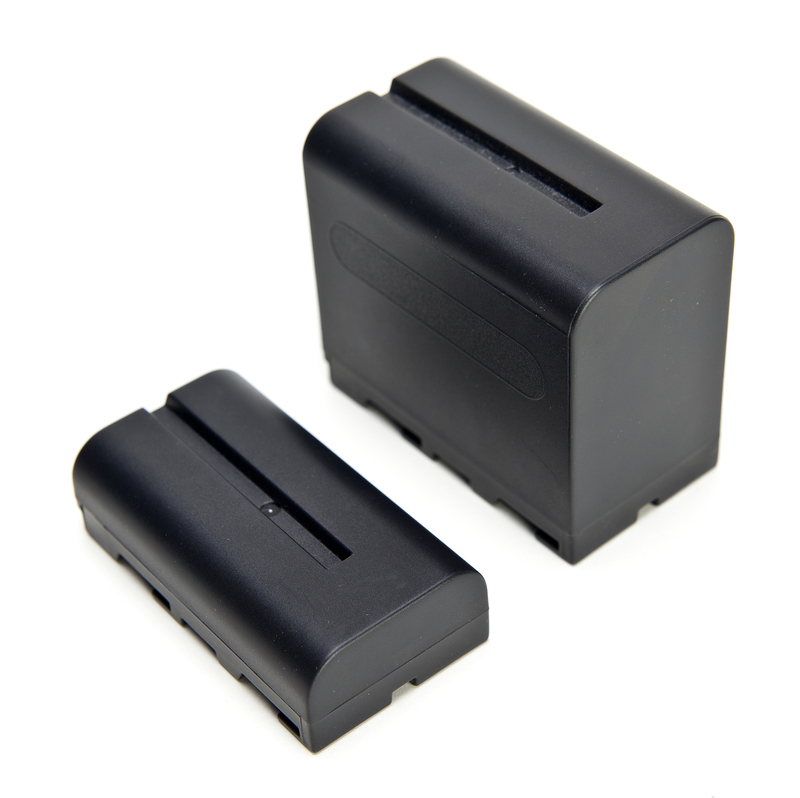 They can also be powered directly from an electrical outlet with the provided 12v AC power supply. 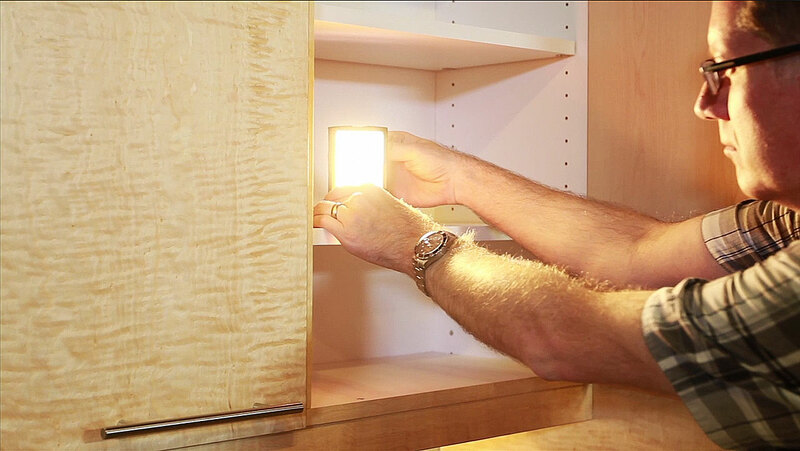 Each light also comes provided with an on-board dimmer switch to vary the light intensity as needed. 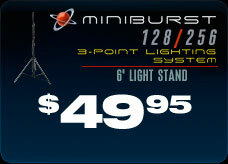 You have everything you need to light a wide variety of scenes in one compact 3-point lighting system weighing just over 27 pounds and carried in a compact deluxe carry bag measuring 28" x 10" x 9"
The MiniBurst 3-point lighting system provides everything you need to light any scene, in studio or on location. 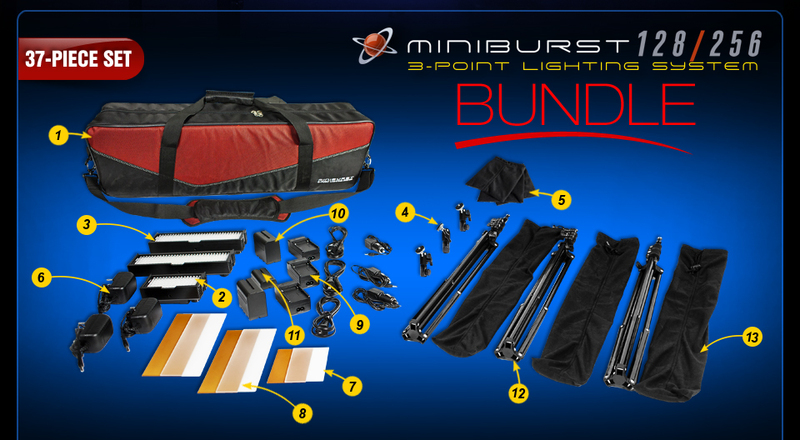 Kit includes: 2 MiniBurst 256 LED light fixtures and 1 MiniBurst 128 LED light fixture, along with power supply adapter, rechargable battery kit, diffusion/warming filters and mini ball head for each light, plus 3 lightweight light stands and an attractive deluxe carry bag which transports and stores the whole kit. 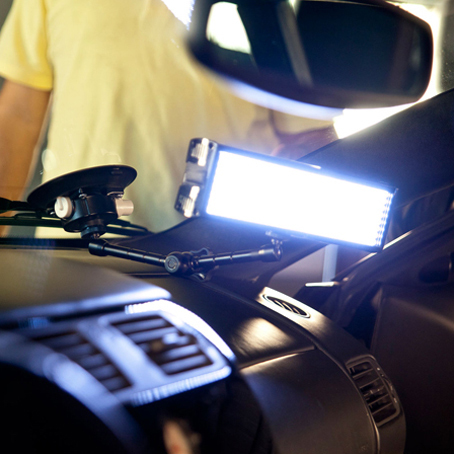 Each light features 128 or 256 super-bright and cool LED bulbs. 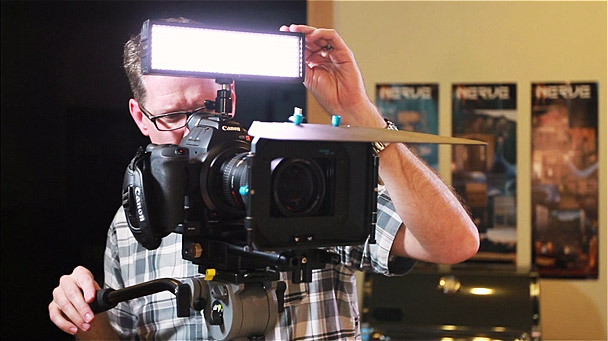 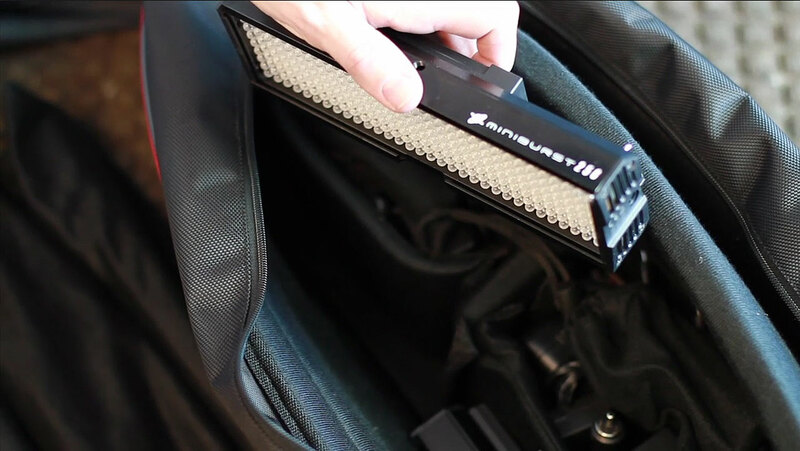 The filter pack provided for each light includes warming and diffusion gels. 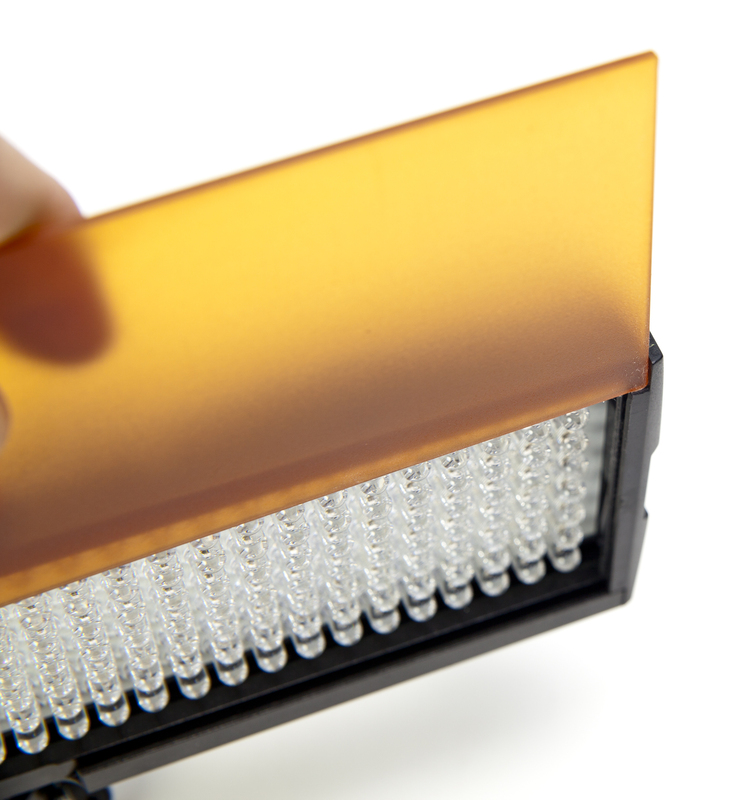 The filters fit into a slide-in filter holder on the light. 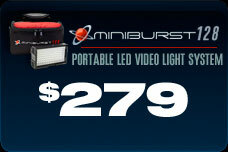 MiniBurst lights can run for over 6 hours on a single 7.4v rechargeable Lithium Ion battery (4000mAh pack or greater for the MiniBurst 256, 2200mAh pack or greater for the MiniBurst 128). 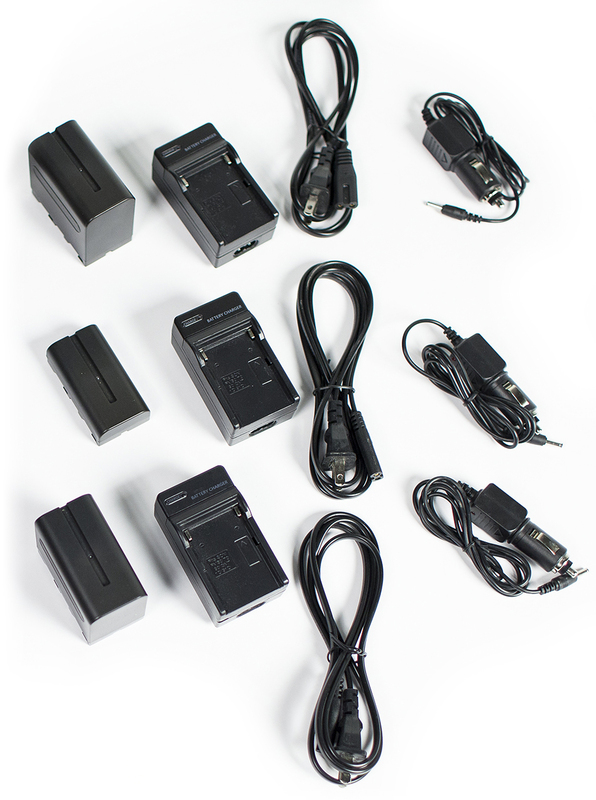 The battery charger unit for each light includes dock, 12v DC adapter and AC power cord. 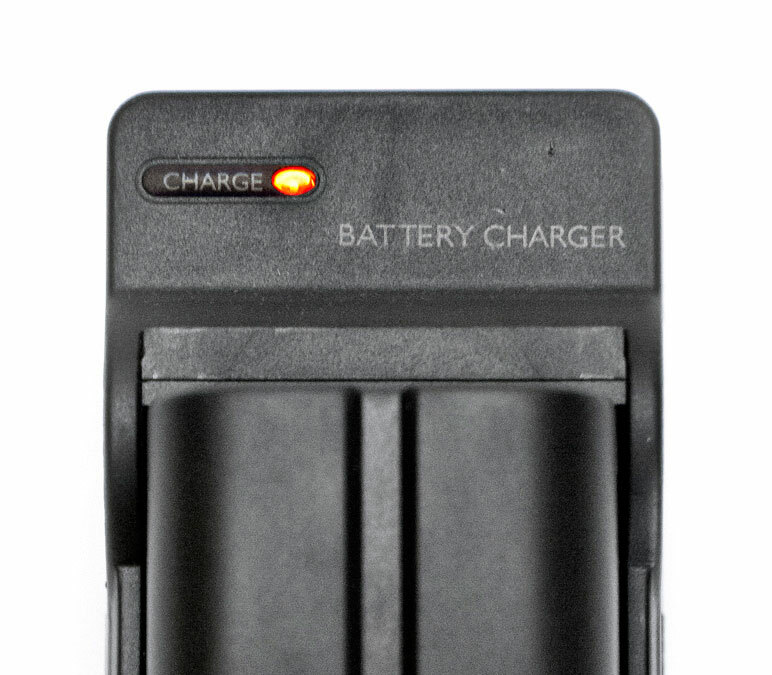 While charging, the light on the charging unit will show red. 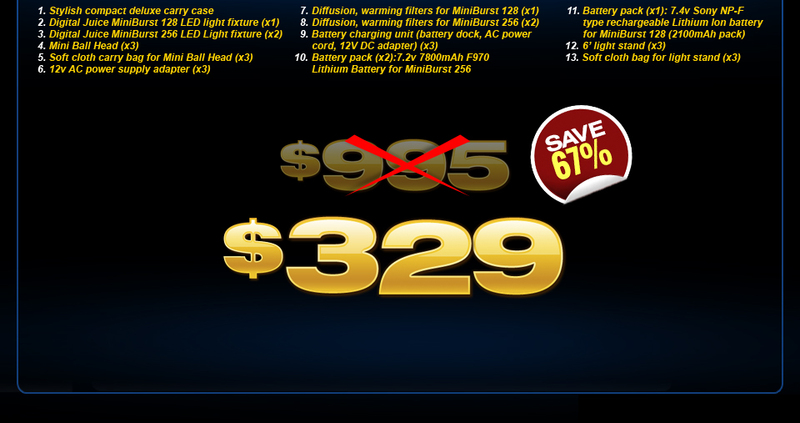 When the battery is fully charged, the light will be green and the charger will switch into maintenance mode. 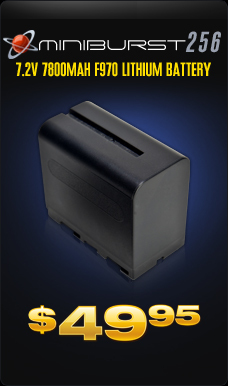 Leaving the unit plugged in once in maintenance mode will not damage the battery. 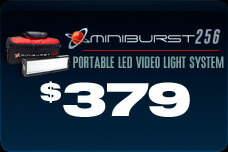 The MiniBurst 128 LED light provides 100W, while each MiniBurst 256 provides 200W, of bright dimmable hotlight-equivalent power. 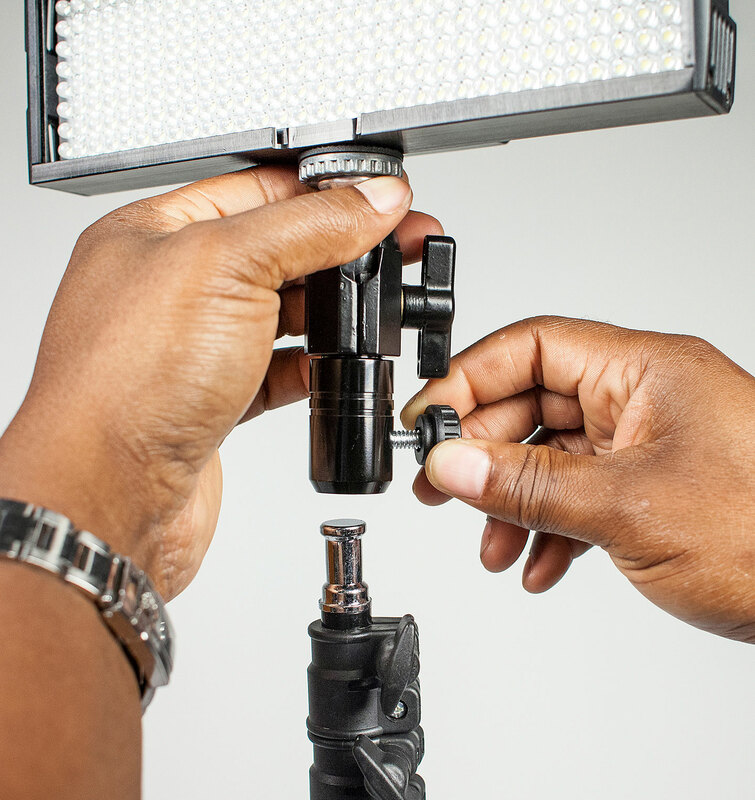 Combining three lights on your subject means you can have complete coverage for key, fill and back lighting for everything from product shots to interviews and more. 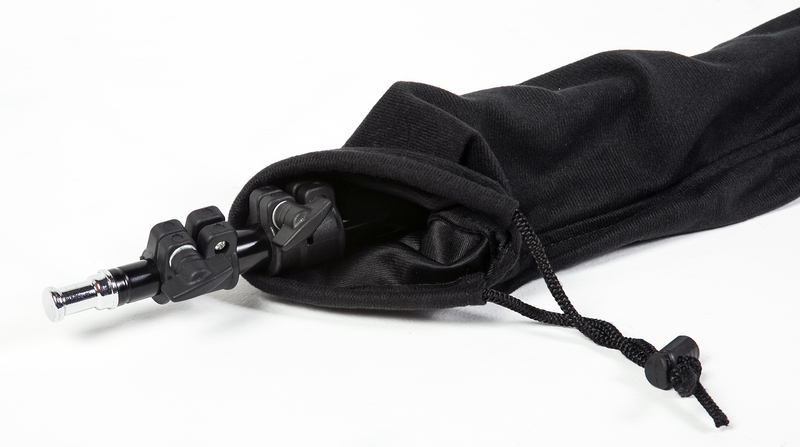 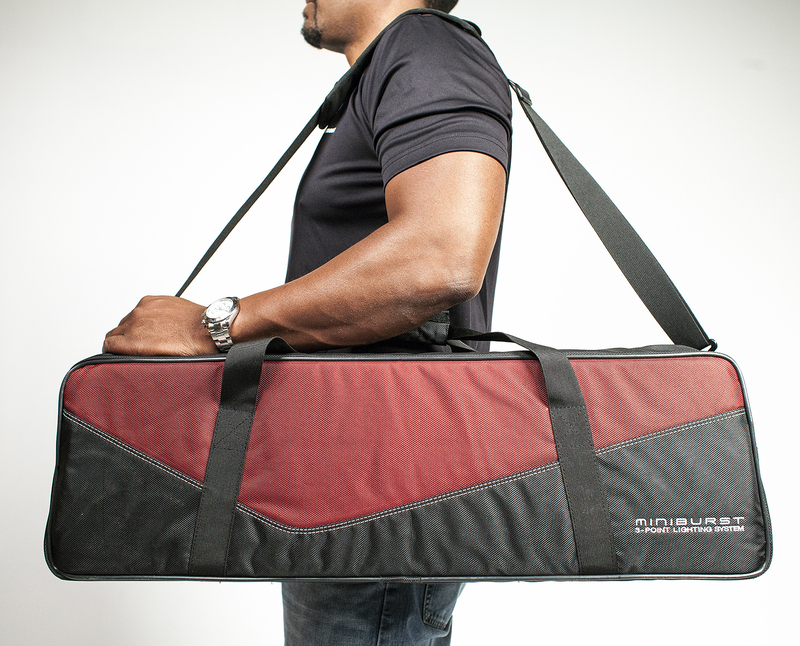 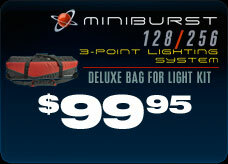 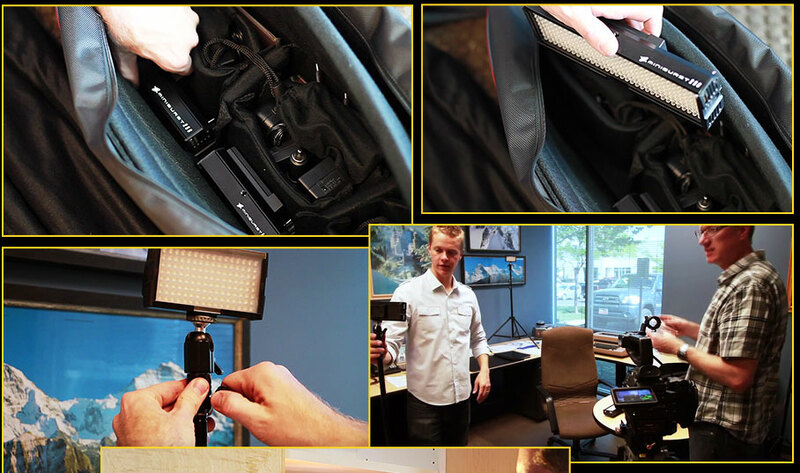 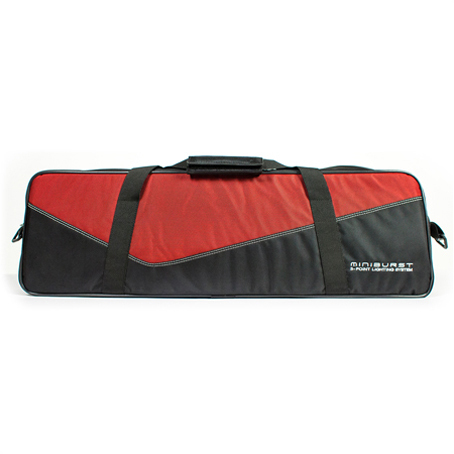 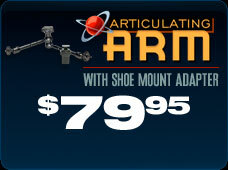 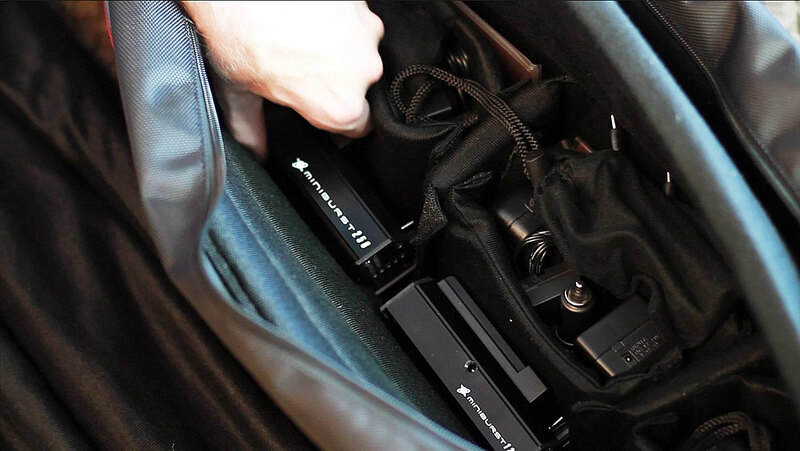 A stylish deluxe carry bag is included with the MiniBurst 3-Point Lighting System. 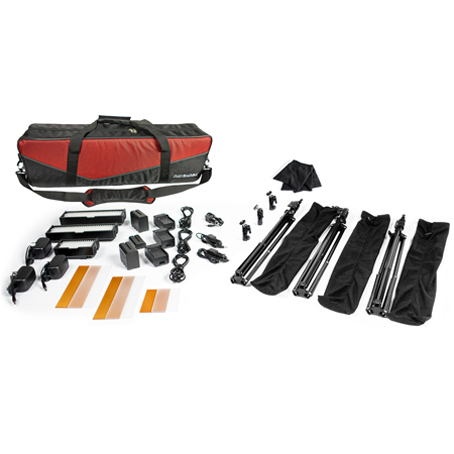 It includes a padded shoulder strap, built-in carry handles and one large zippered compartment with soft repositionable foam padding to hold and protect the 3 lights and stands as well as all accessories. 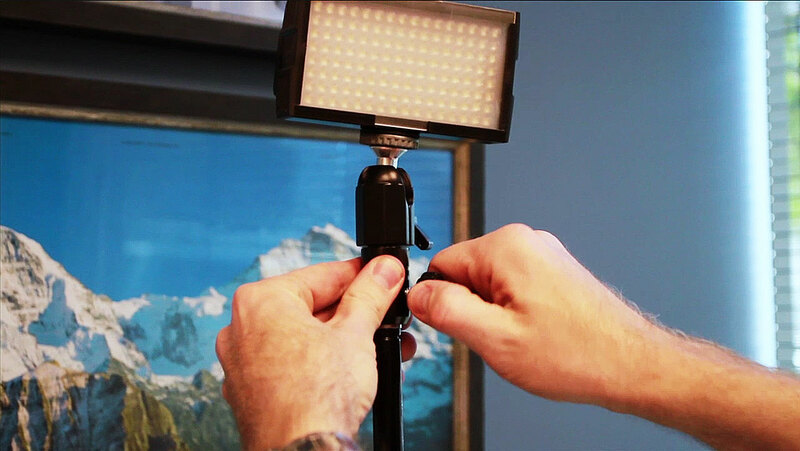 The light weight and compact size of both the LED lights and the 6' stands means you can easily transport and use the MiniBurst lights just about anywhere - from a cramped corporate office to an awkward on location spot. 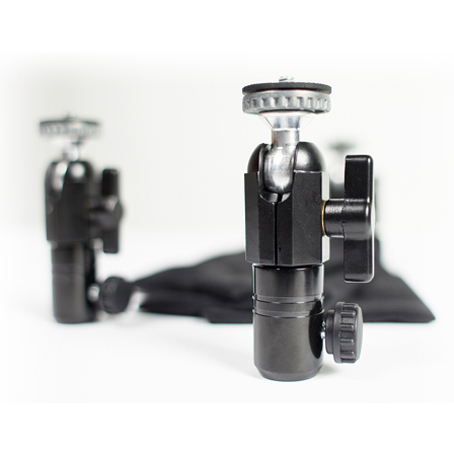 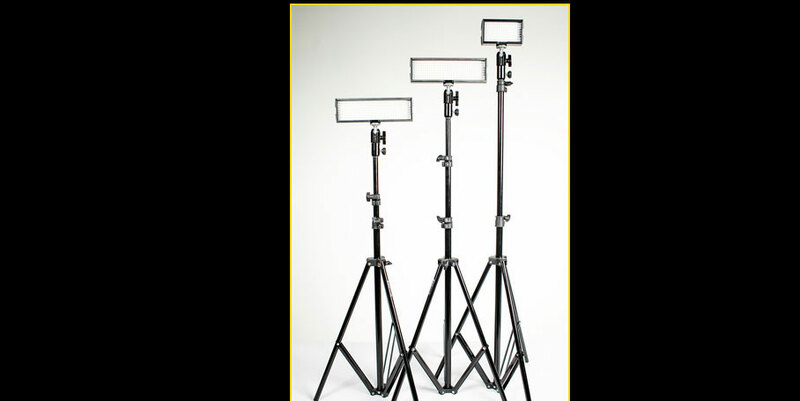 MiniBurst fixtures are even light enough to attach to a shelf or wall with a suction mount or articulating arm when necessary. 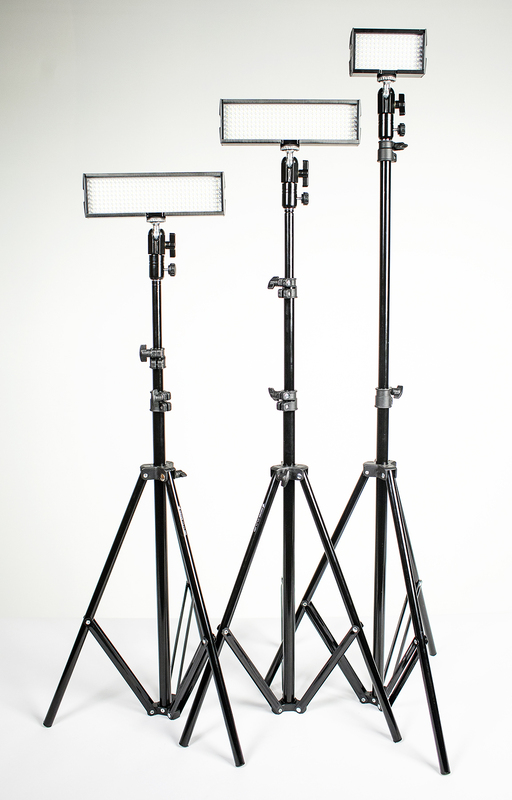 With a maximum height of 6 feet and a maximum weight capacity of 12 pounds, the 3 provided aluminum light stands are both portable and durable enough for most shooting environments. 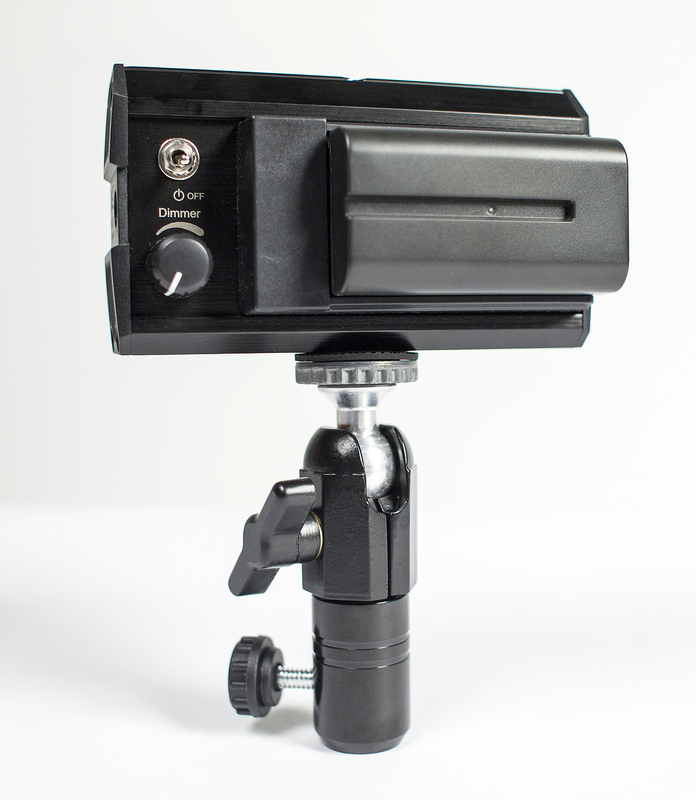 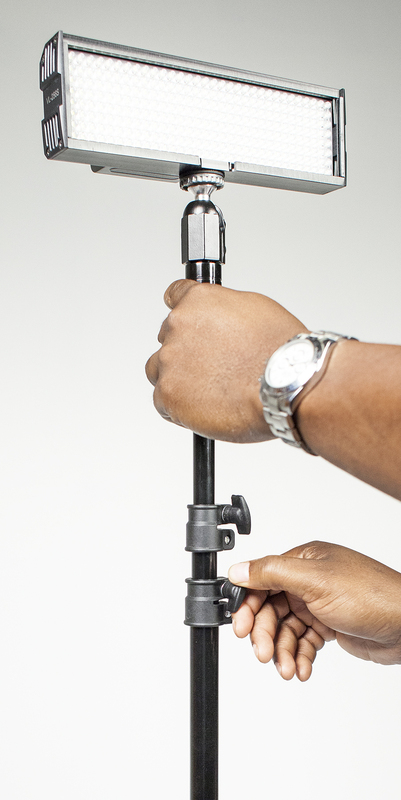 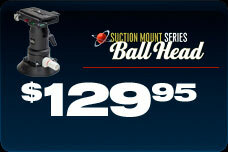 Mounting a MiniBurst light fixture to a light stand is as easy as attaching the LED fixture to the included mini ball head accessory and then sliding the receiving end of the ball head onto the mounting stud on the top of the stand and tightening the knob. 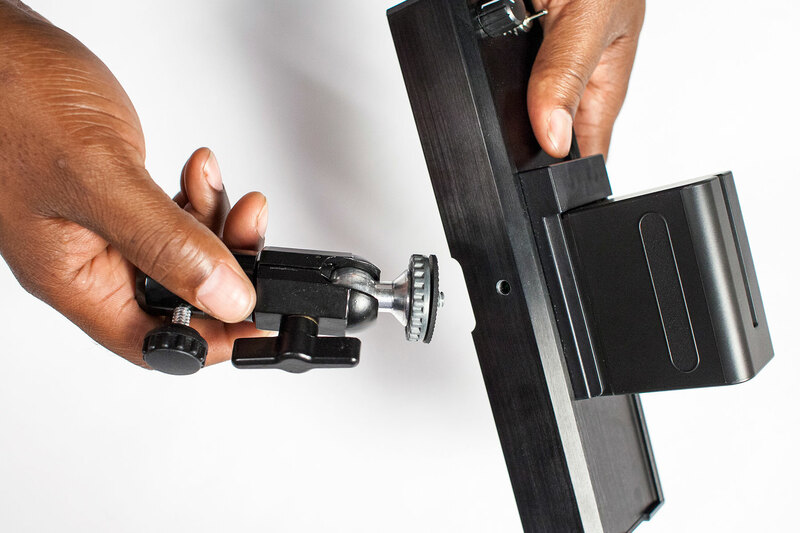 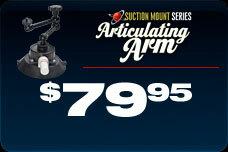 The stand can then be adjusted to the required height. 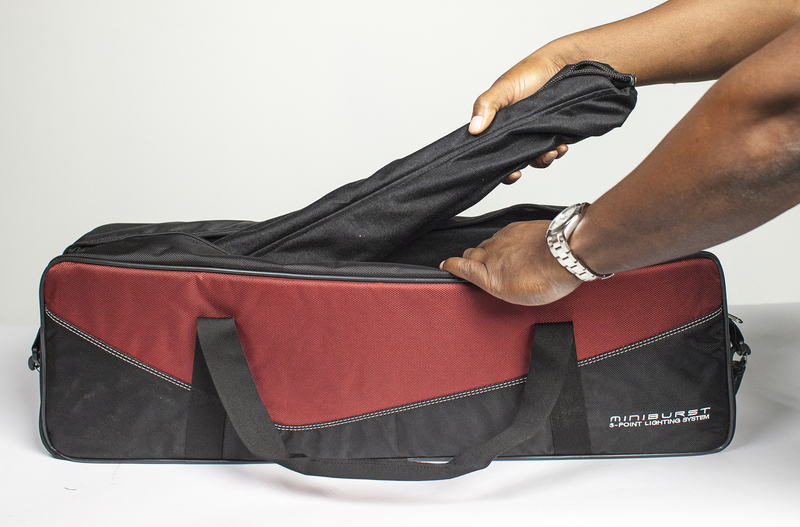 Each stand is provided with its own soft cloth carry bag to keep it clean and protect it from damage during transport and storage in the deluxe carry bag. 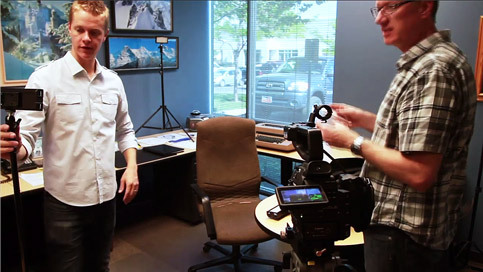 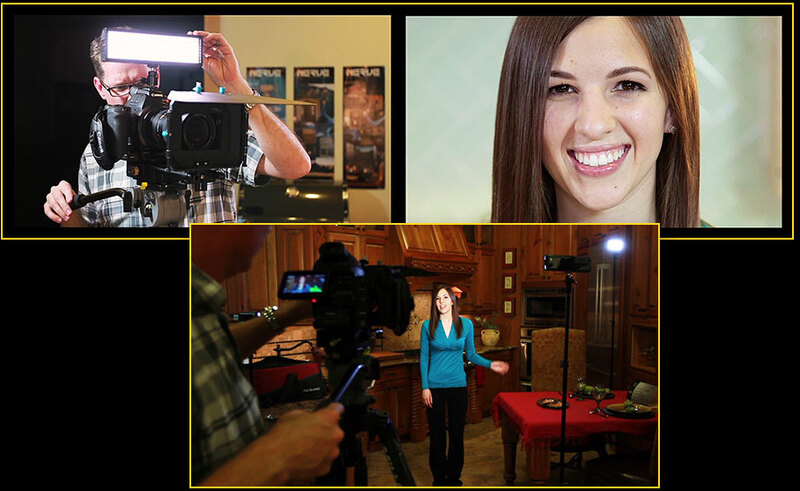 The versatile cool-running MiniBurst 3-Point Lighting System works perfectly for everything from talking head interviews and product shots in confined spaces to larger scale productions in a studio environment. 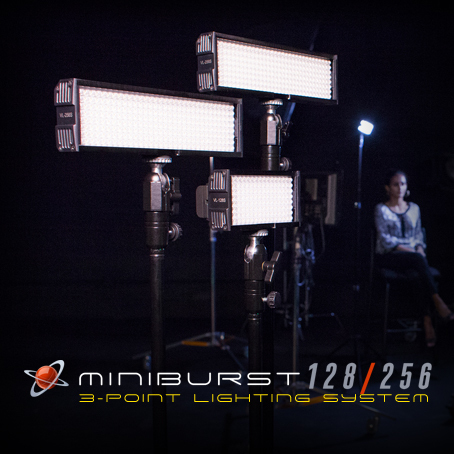 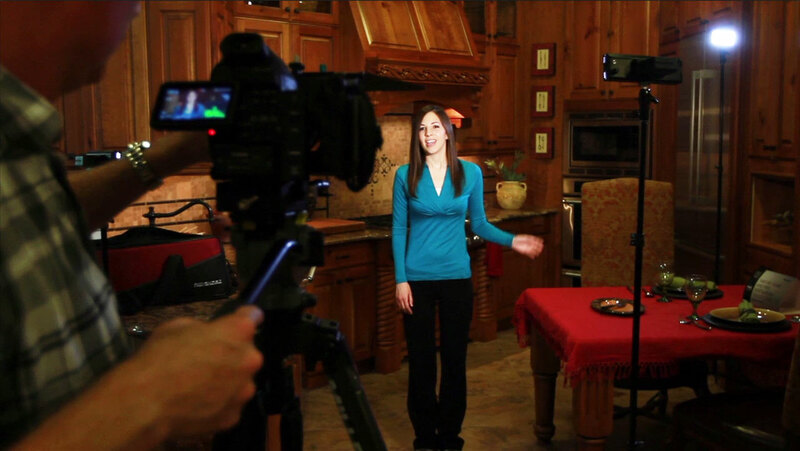 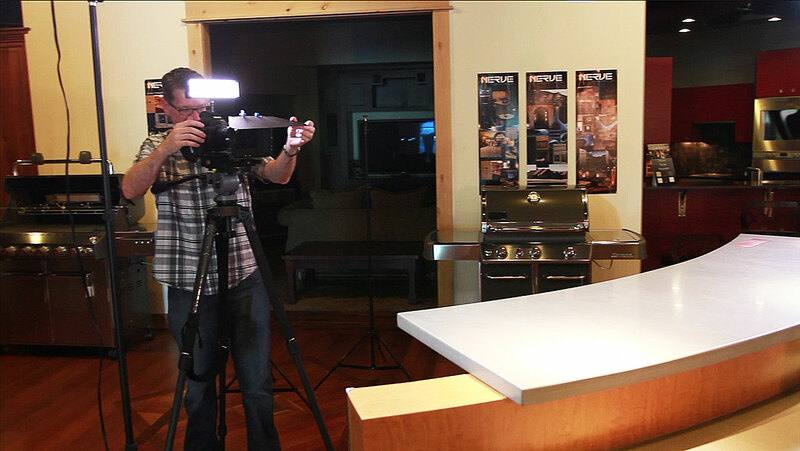 The versatile MiniBurst lights can be used both on the provided stands, and as on-camera lighting, depending on the need. 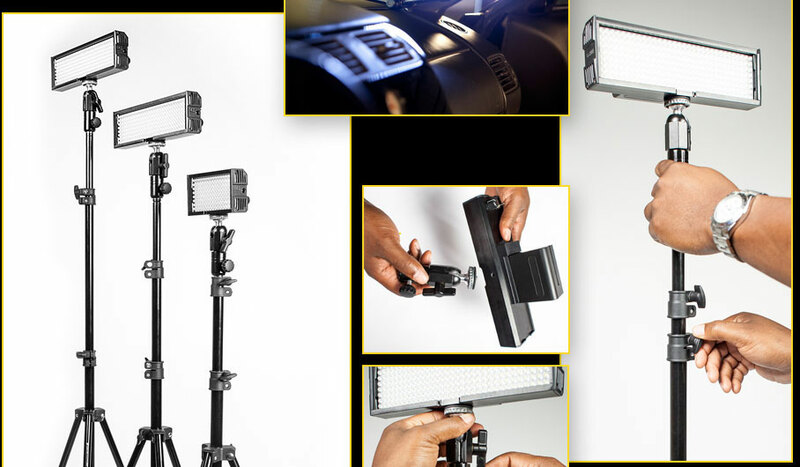 Because of their light weight, minimal heat and longlasting rechargable battery use, these dimmable lights are ideal when shooting on the go, or in situations where power and AC capabilities are unknown or unreliable. 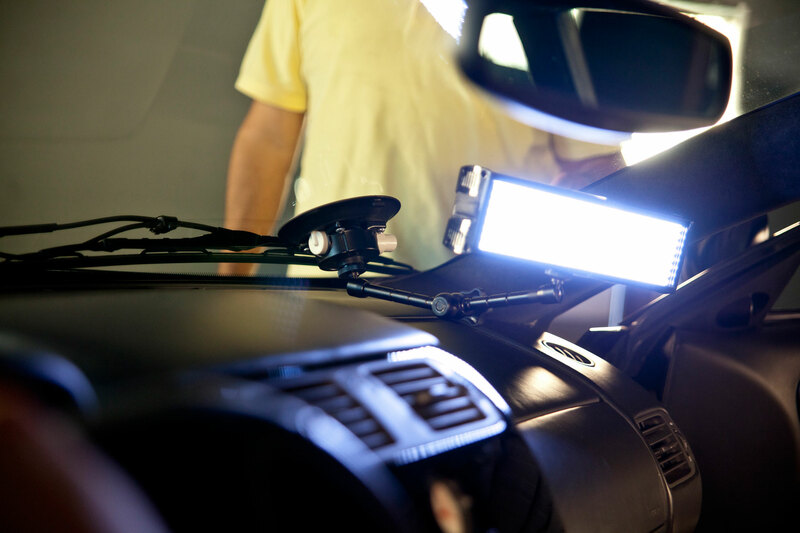 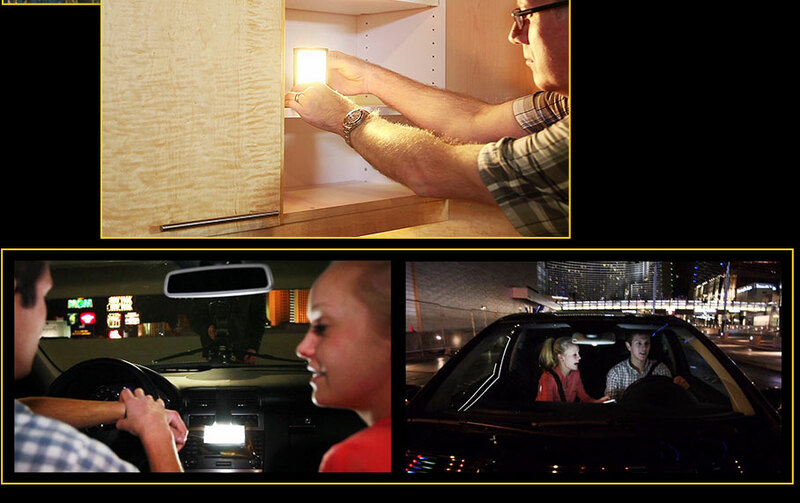 They are especially useful in tight spaces like the inside of a car and provide just the right amount of light to simulate ambient-lit talent when shooting through the windshield at night. 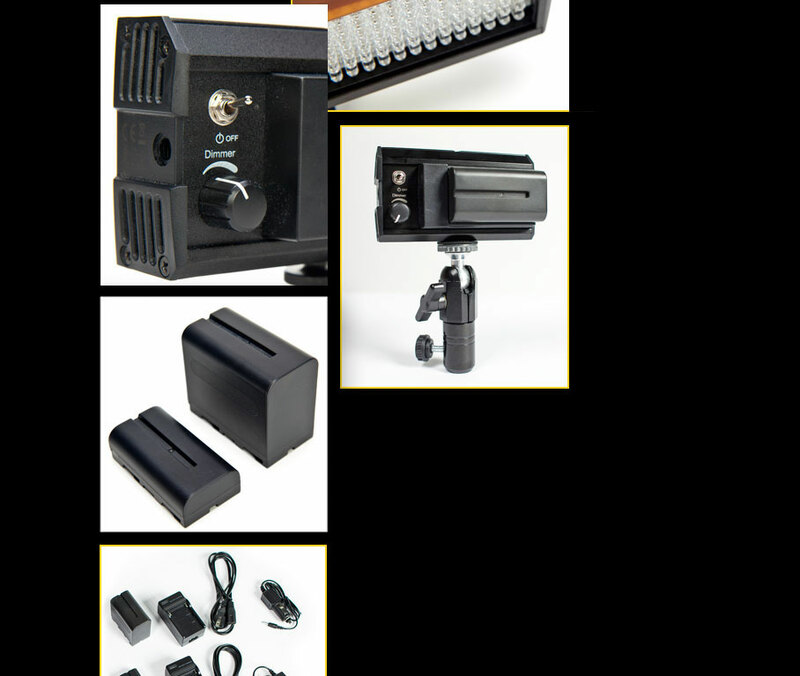 Light Runs on: 7.2v Rechargeable 7800mAh Lithium Ion Battery for MiniBurst 256 LEDs and 2200mAH Lithium Ion Battery for MiniBurst 128 LED or 12v AC Power Supplies - Also Includes Chargers for the batteries. 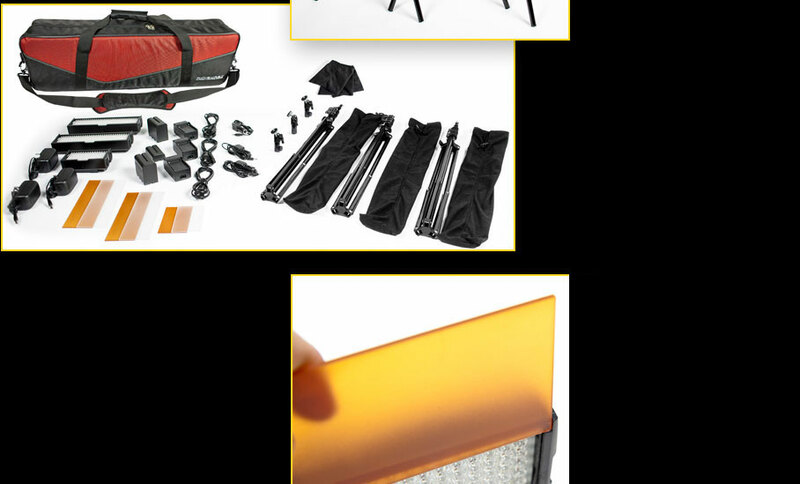 Includes 2 Diffusion/Filters for Warming & Soft for each LED light. 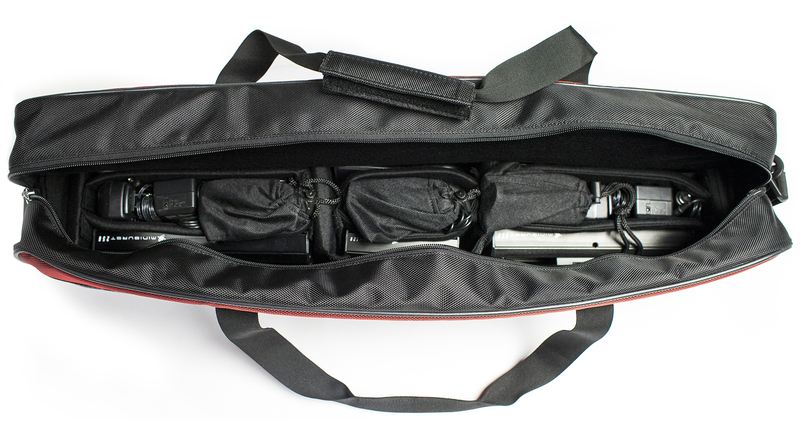 3 fixtures, each with mini ball head mount, rechargable battery kit, power supply, filters, light stand plus a stylish compact carry bag You have everything you need to light a wide variety of scenes in one compact 3-point lighting system weighing just over 27 pounds and carried in a compact deluxe carry bag measuring 28" x 10" x 9"